Summertime is for making socks for wintertime. 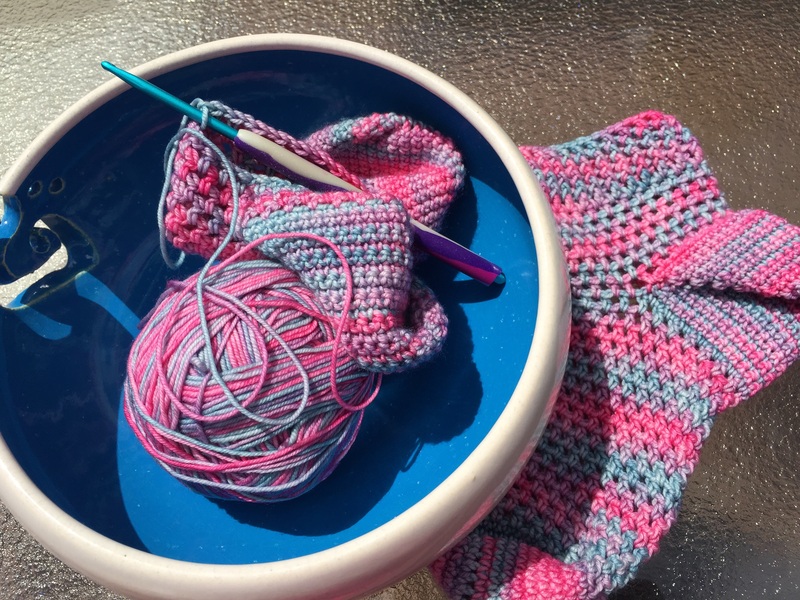 I’ve been spending my free time on the deck making socks…I am a fascinating human being, no? These are my go-to pattern:: Bluebird Lace Socks from Lion Brand Yarn’s book Just Socks. I’m off to go be fascinating…try not to be jealous. HA! Really pretty – lovely colour mix. 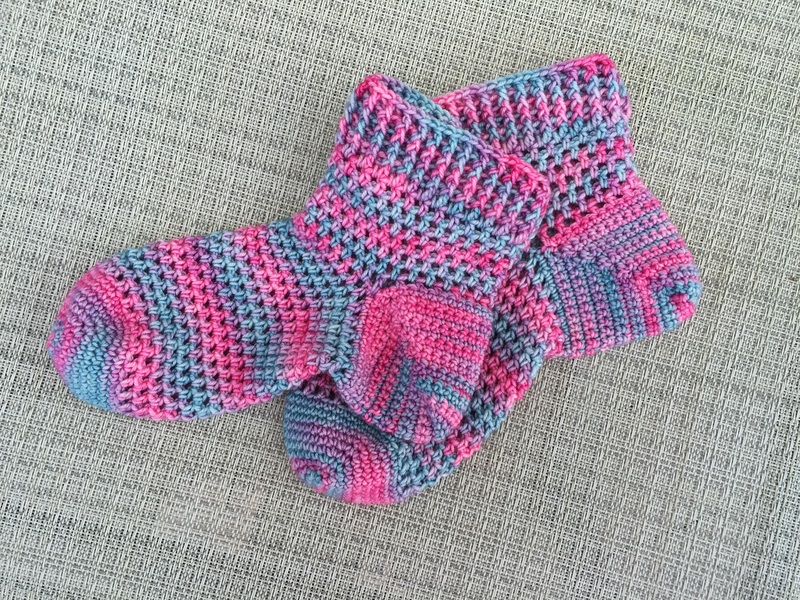 I knit socks but I’ve never made crochet ones. Are they as comfortable as knitted ones? It depends on the pattern & yarn choice, but yes. Because they can be more bulky than knitted socks I like this lacy pattern. I usually use superwash wool from Expression Fiber Arts, (the resilient line & her color ways are superb), or Opal superwash (but it doesn’t have as much elasticity).